Hey everyone, today we’re taking a look at the 15 best digital timepieces for men. 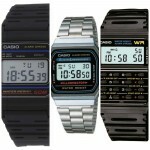 There’s a great variety of popular brands to browse through such as Casio, Timex, Braun, Nixon, and more. No matter your budget there’s something here for everyone from cheap and affordable all the way up to high end digital watches. 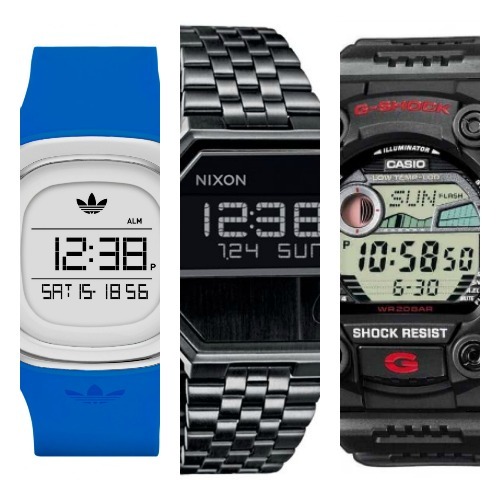 I hope you enjoy taking a look through these quality digital watches, as always let me know what your favourite was in the comments section below. 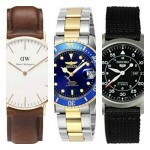 If you want to find out an up to date price just click through to the details page for any of the watches you like. This design is made from PVD gold plated steel and features include a daily alarm, stopwatch accurate to 1/100 Second, illuminated display and automatic calendar with day, date and month feature. It is powered by a quality quartz movement. You can read my full Casio A168WG-9EF review here. These very simple digital watches from Mutewatch have been making quite an impression lately. They’re made of a silicone rubber and utilize a quartz movement. It’s operated with an easy to use touchscreen and automatically adapts to the surrounding light intensity. Extra features include an alarm and backlight. I haven’t done a full MUT1002 review ready just yet, but when I do I’ll add it in here. This model from Calvin Klein looks very sophisticated with its clean design and square casing for the digital dial. The unisex Calvin Klein Future watch is made from stainless steel and is fitted with a Swiss quartz movement. 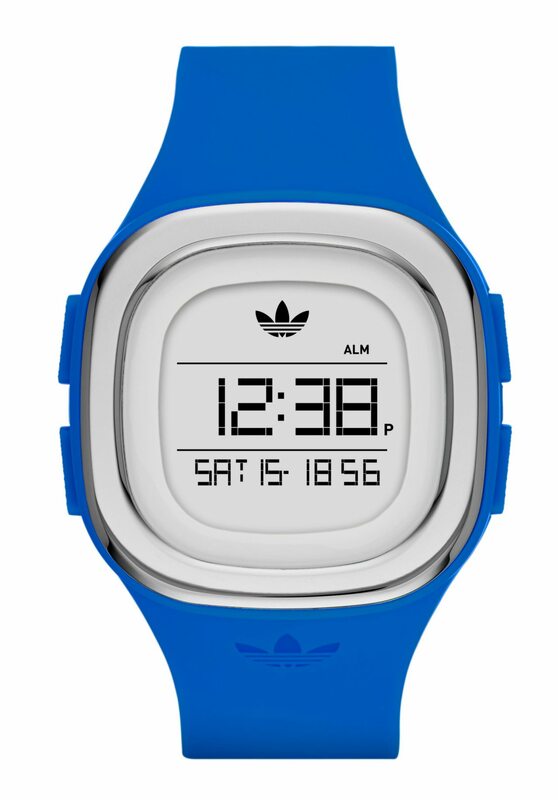 It is fitted with a white rubber strap and has a blue dial. The watch has a date function. If you were after a Swiss digital watch, then this is worth considering. As soon as I have a full Calvin Klein K5C21UM6 review on the site I’ll add it in here. Inspired by the new Star Wars Rogue One Film, The Deathtrooper are an elite variant of the Stormtrooper. The casing of this stunning digital watch is made of a custom injection moulded polycarbonate with a polycarbonate bezel with armour detailing. I’ve featured some of Nixon’s Star Wars watches in the past and always been extremely pleased with them. 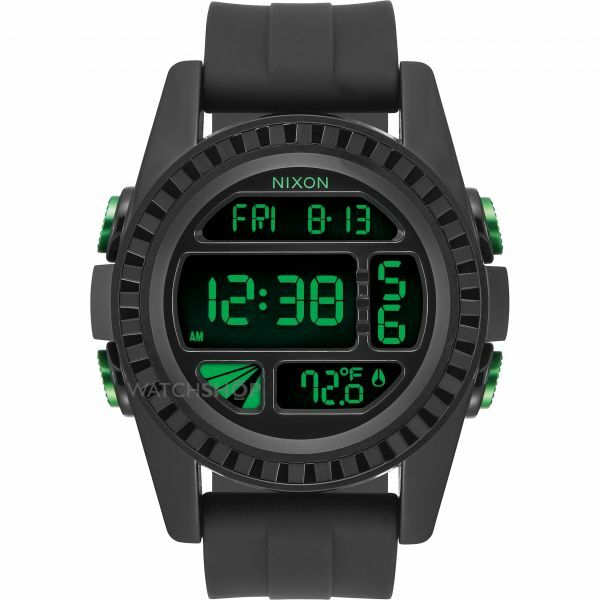 I’m yet to get a full Nixon A197SW-2723 review ready, but once it is I’ll add it in here. Here’s a trendy digital sports watch from Adidas, it’s a very affordable digital watch that features a chronograph quartz movement with a positive LCD display, lap timer, countdown timer, and mineral glass. As soon as I have my Adidas ADH3034 review ready I’ll add it in here. This oversized watch from Timex is sure to impress with its military style and durable design. The Timex grid Shock has a tough plastic/resin case and features a chronograph quartz movement. The dial is LCD and has an extremely easy to read display. Other features include an alarm, backlight, timer, and a 100m water resistance rating. I’ve got a full Timex TW4B02600 review coming soon. 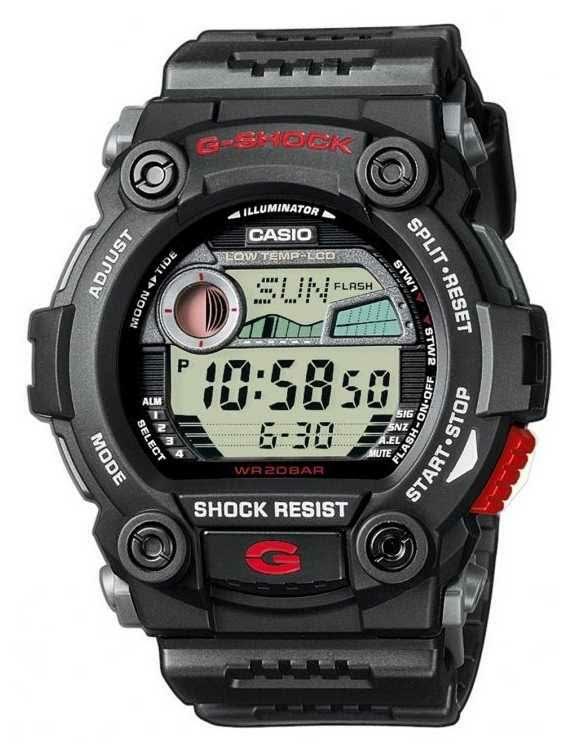 When it comes to value for money, Casio’s G-Shock range of digital watches offers some of the best available. G-Shock watches are extremely tough, durable, and well built which is why they’ve been some of the best-selling watches available. This model is packed with features such as a world time display, stopwatch, countdown timer, 5 alarms, and a 200m water resistance rating. You can read my full Casio GD-100MS-3ER review here. This is another best seller for Timex. 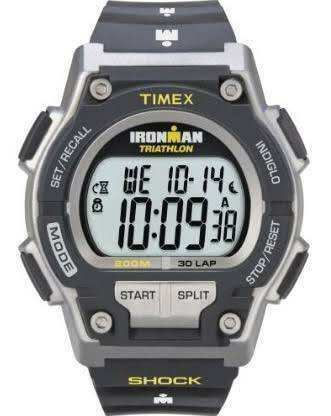 The Ironman series have proven itself to be a popular Digital watch for many. It’s a triathlon watch with a sporty hi-tech feel to it. 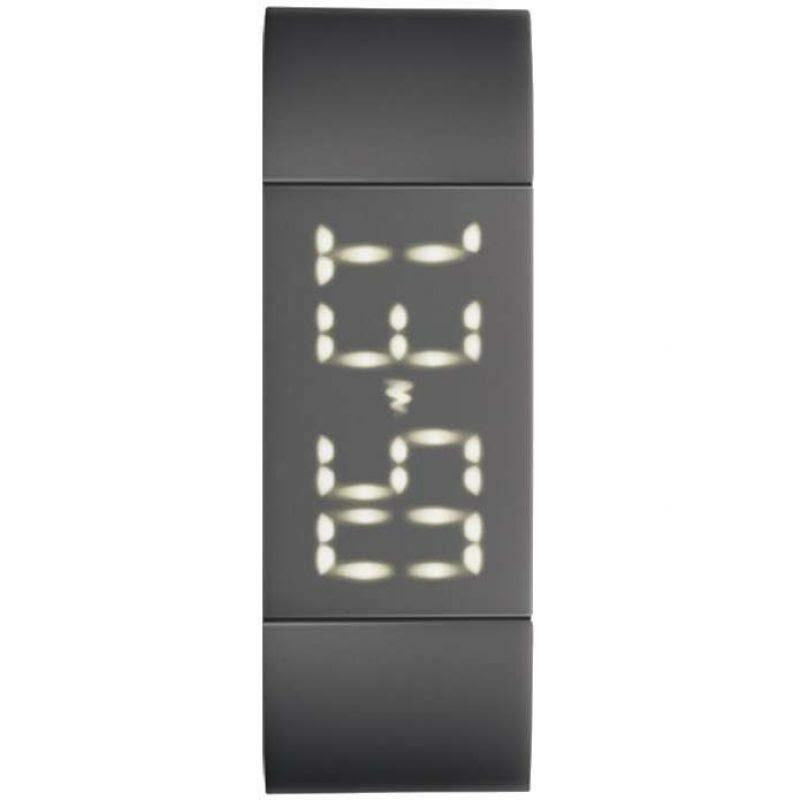 The high-visibility LCD display is very easy to read and includes features such as chronograph, alarm, day and month functions, along with a sturdy rubber strap and buckle. The water resistance rating is also very impressive at 200m. An ideal affordable digital watch, in my opinion. I’ll have a full Timex T5K195 review coming out soon. This is well worth considering if you’re after a cheap digital watch. The Timex Marathon is very affordable and within pretty much everyone’s budget. The LCD display is large and easy to read that’s great. It includes a 24 hour stop watch, daily alarm system, and a 50m water resistance rating. I’m adding in a Timex T5K359M6 review soon. 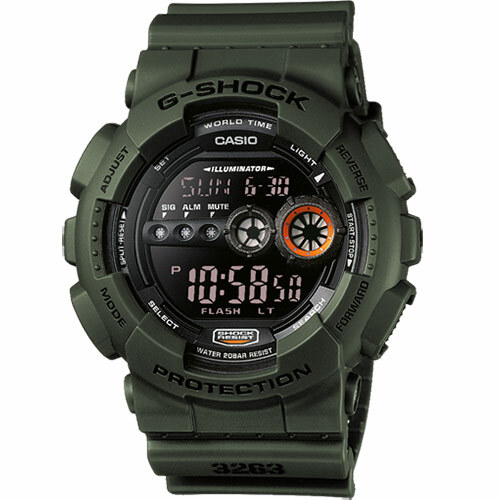 Another brilliant cheap digital watch from G-Shock offering some great value for money. As you’d expect from G-Shock it’s extremely tough and full of useful features such as multi-alarm, stopwatch, backlight, moon age display, yacht timer, 200m water resistance rating and more. 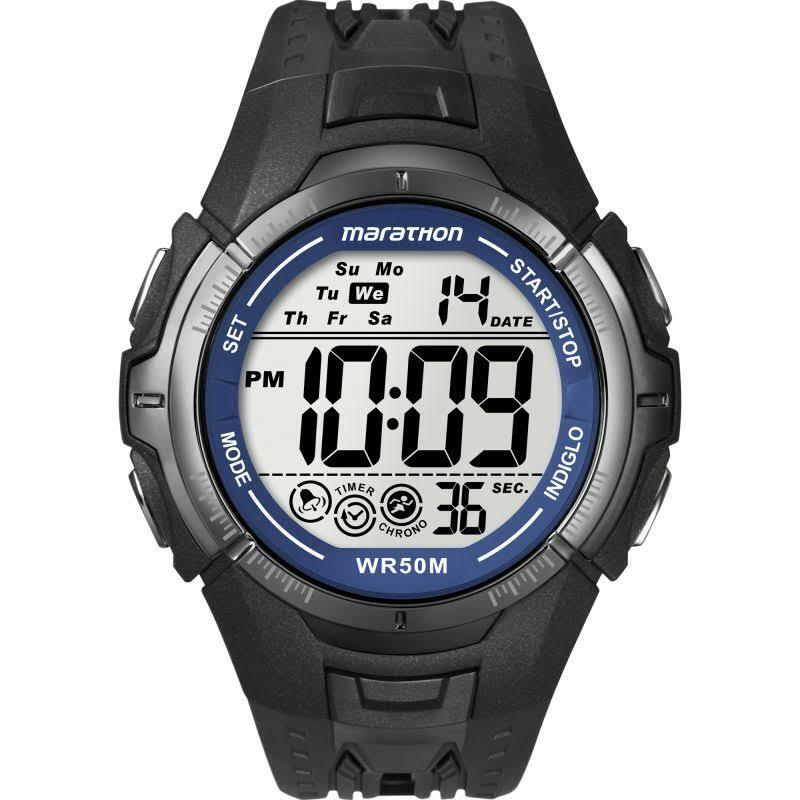 It’s the perfect choice for someone looking for a tough digital sports watch. You can read my full G-Shock G-7900-1ER review here. 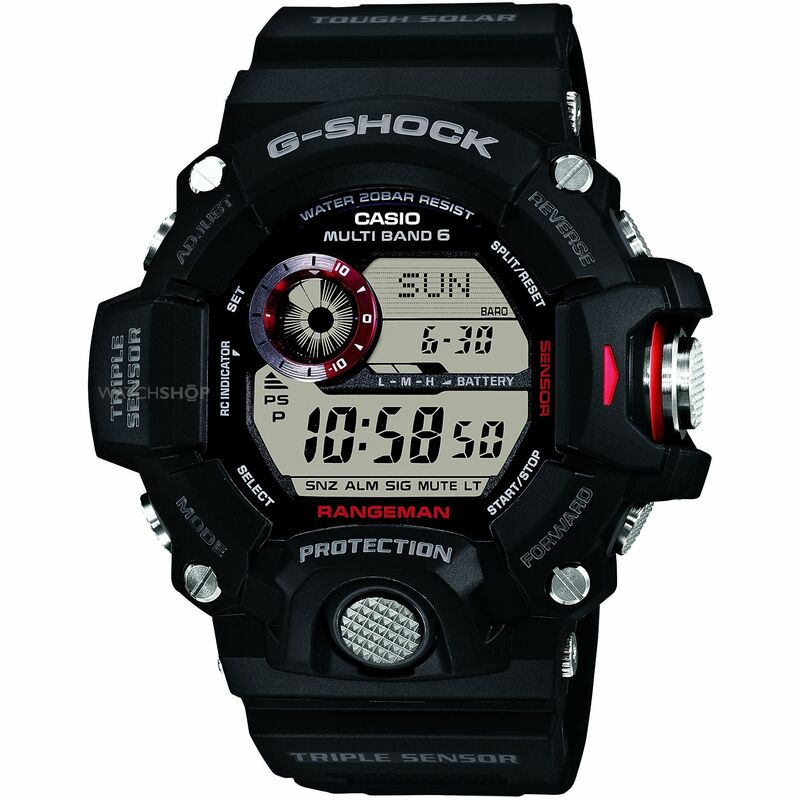 Casio G-Shock also have an impressive range of high end digital watches including this model. As you’d expect from a high end digital watch, it does cost a fair bit more than the other watches featured so far, but it certainly packs a punch with its features. This Rangerman edition has a large 53mm case and LCD dial. 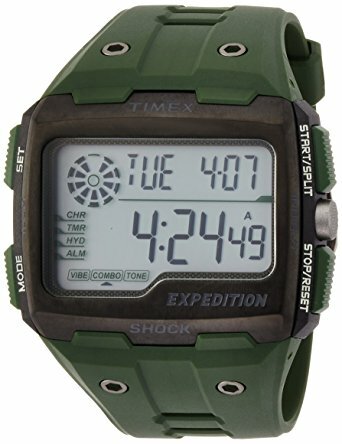 This watch is jam packed with features such as Super-Full-Auto-LED light, Shock resistant, Solar Power, Radio signal reception (EU, USA, Japan, China), World time function, Stopwatch function – 1/100 sec – 1.000 hours, Timer – 1/1 min. – 24 hours, 5 daily alarms, Barometer (260 / 1.100 hPa), Thermometer (-10�C / +60�C), Digital-compass, 10,000 m Altimeter, Sunrise/sunset display, Altimeter data memory, Snooze feature, Button tones on/off, Automatic calendar, 12/24-hour timekeeping, Mineral glass, Resin case, Resin band, Battery level indicator and Water resistance classification (20 bar). I think I’ll have to get a full G-Shock GW-9400-1ER review out soon. 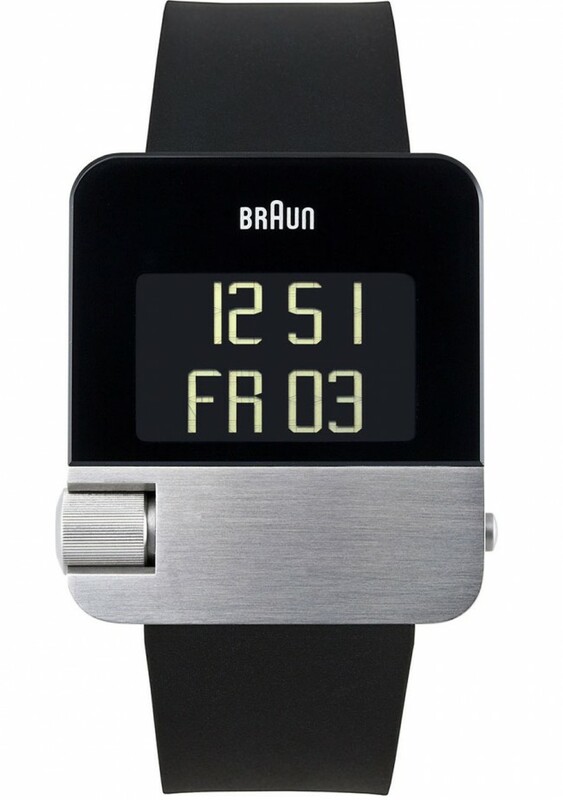 If you love cool digital watches then Braun have a rather interesting selection to check out. This model is very stylish and features a slick black Ion-plated steel square casing with a genuine leather strap. Features include a backlight, chronograph, date function, and 50m water resistance rating. I’ll be adding in a full Braun BN0046BKBKG review soon. Pebble’s range of cool digital smart watches proved extremely popular when they launched on kickstarter reaching a huge $4.7 million in funding within 30 days. 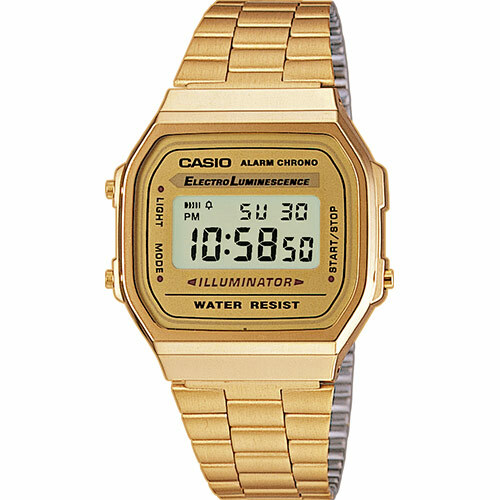 Since then they’ve launched new models such as this unisex digital watch. This model is compatible with Android and IOS, water resistant to 30m, battery life up to 7 days, 2.5D glass display, and more. 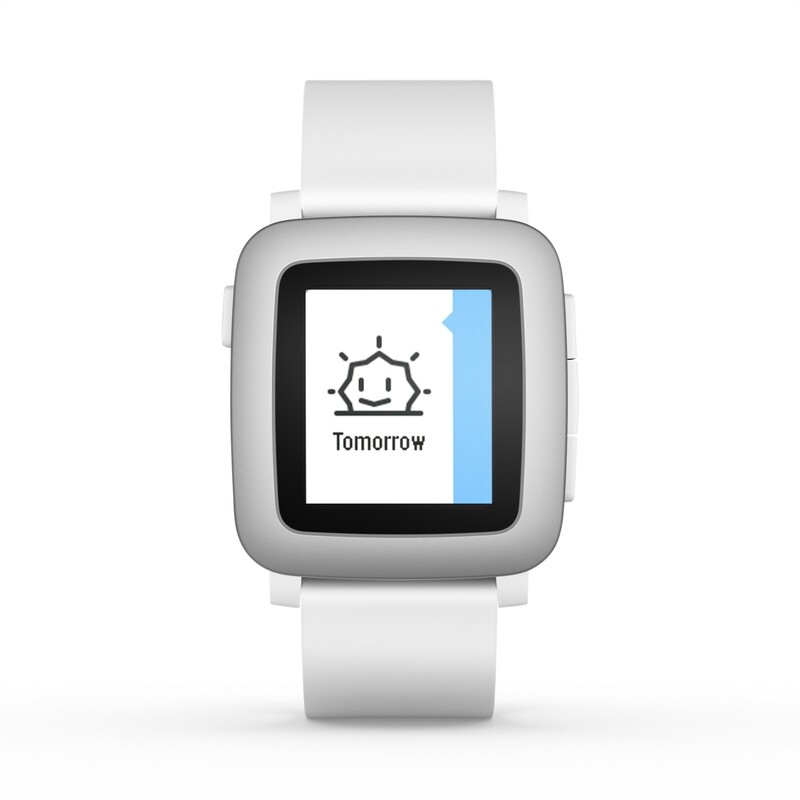 I’ll have a full Pebble 50100021 review out as soon as possible. 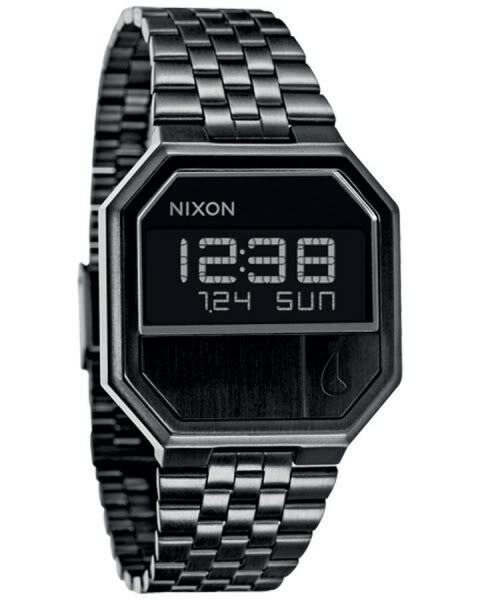 This is a brilliant slim digital watch from Nixon, another one of their best sellers. It’s a cool digital watch that has an attractive Ion-plated steel casing with a Quartz movement, LCD display, date function, and a 30m water resistance rating. I’ll have a full Nixon A158-001 review available soon. 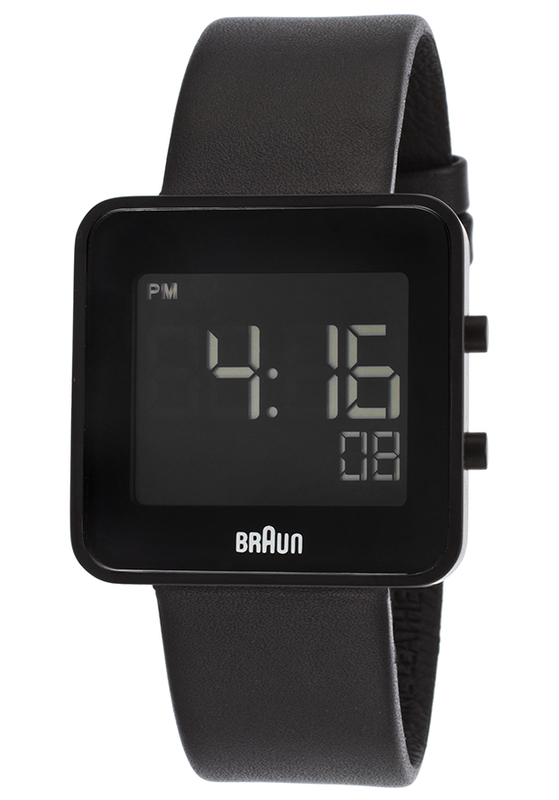 Finishing up our list of the best digital watches for men is this stylish Prestige model from Braun. Again this is another expensive digital watch yet it still offers good value for money when you take a look at the specs. I’ll add in my full Braun BN0106SLBKG review soon. What are the best digital watches? It’s been good fun going through this list of the 15 top digital watches for men today. There’s been a good mix of styles and designs from a variety of price points so I’m sure there’s something for everybody, or at least something to point you in the right direction for what’s right for you. As always, thanks for reading and comment below letting us know what your favourite was.